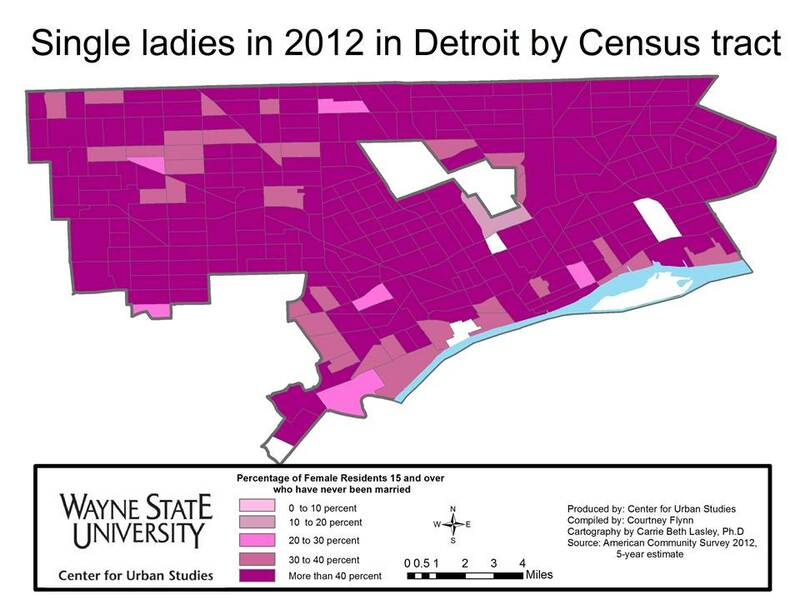 The Center for Urban Studies has put together an interesting piece over at their Drawing Detroit blog. In the name of Valentine’s Day they have utilized the Census Bureau’s data on single people. Read more at Drawing Detroit. . .